In lovely autumn sun, Bournemouth hosted the first mini hockey tournament of the season. Romsey entered with only one U10 team of 9 players in a tournament with 16 teams in total and where big clubs like Trojan’s and Bournemouth had three teams each. 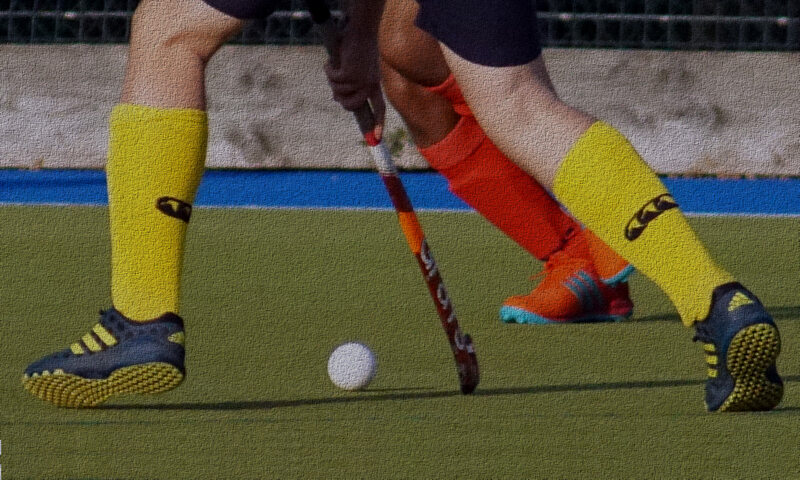 With a new mix of children, the team skills like passing, spreading out, talking to each other and not to have more then one player on the ball at the time will improve with training but it was clear that we had a group,of very keen hockey players. First game against Andover 2 was a bit of a warm up for both teams. “Careful” hockey was played and only in the last few minutes of the match, Andover scored the only goal into an empty Romsey goal. The second game was more energetic and teams very equal. Charlie had one attempt to score but just missed the goal post in a match that ended up 0-0. Third game was against Bournemouth 3 and they started strong by breaking through Maya’s defence and scoring already after a couple of minutes. A short corner by Oscar to Fred and then to Dylan saw the first Romsey goal of the day. Teamwork was great in a section of passing from Lily, to Fred and Oscar who scored the 2 nd goal but after that Bournemouth took a strong grip of the game and delivered two further goals in a match that ended 2-4 to Bournemouth. Despite a bit deflated of the “crush” in previous game Romsey re-charged and we saw six great goal being scored against New Forest 2. Charlie score the first hat trick and Oscar scored two and Dylan one. Match result, 6-0 to Romsey. A strong Bournemouth 2 was up against us in the last game of the day and they scored straight away. Romsey made the score even one by “un named” player but couldn’t stand against Bournemouth strong play and the game finished 1-2. Great effort from all players; Camilla, Maya, Lily Rose, Hugo, Fred, Benji, Charlie, Oscar and Dylan. Thank you to Carl and Jen for coaching the team. U16 Girls Shine in the Sun! U8s at Andover – the future is bright, the future is yellow! The goal of our website is to help improve communication between the Club and its members. We also utilise other social media technologies, and can be found on Facebook and followed on Twitter. We hope that the shared information promotes the game of hockey as a rewarding sport to the whole community.